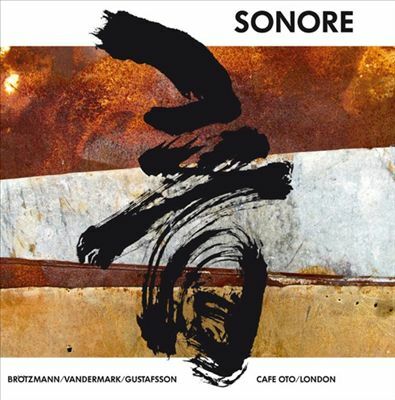 Home » Music Reviews » Sonore – Oto: Every assertion automatically becomes its opposite. Sonore – Oto: Every assertion automatically becomes its opposite. 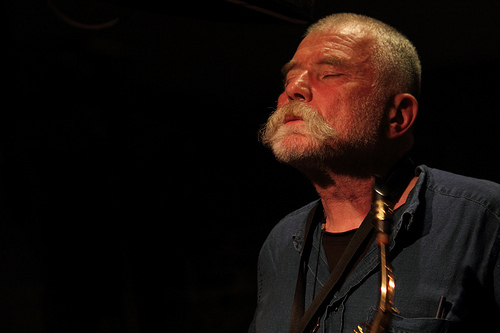 Sonore is Peter Brötzmann, Ken Vandermark and Mats Gustafsson; seasoned players who each have credits listed to their names. 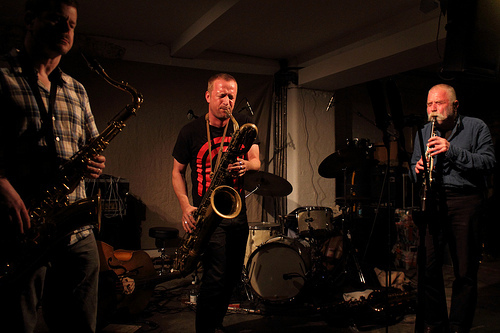 They come together as Sonore which is its own unanimous committment to their music as a process. These are players each intimately engaged with their instruments, allowing their engaging to be a perpetual lesson in measure, exactitude and courage. They are the salad bowl of improv! In a salad you want to eat your meal, but you want your tomato to remain tomato; Your lettuce to remain lettuce. While each musician remains faithful to their own organic nature in the mix of this sound, each also brings with them their own honesty and their willingness to explore. The result is a question and answer game within the sounds. Every assertion automatically becomes its opposite, not in a battle of wills, but in the unity of the “I” remaining true to the “I”. The best way, I think, to listen to something as fecund as Oto, is to allow it to be exactly what it is at this particular time. Let the musicians bring who they have been to the piece, there is no need for the listener to do so. This allows the free flow of communication through the sound – the communication between instruments, musicians and listener. The contrast and dynamics have sliced out a moment in time that brings so many diverse elements into play, the writhing passion of the music resonates through every blast. I’ve listed Fragments of an Endgame for you above to take a listen. Notice the spin of the performance, the revolving folding in itself as each of them tumbles into the music in together. 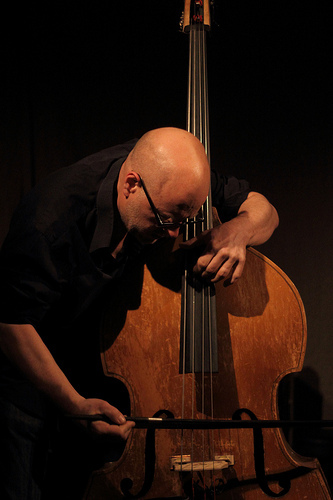 Despite each musicians connection to silence, there is no paralysing imperative, no experience of lack of movement. There is an urgency here that draws from within itself in the same way it subtracts from itself. The sounds tumble rising and falling according to an overall aesthetic, a shared philosophy that is the musical oeuvre of each musician. The music can be sad, beautiful, exacting, soft, sharp implemented and spontaneous together. Careful listening will have all these feelings star burst and tunnel deep at the same time. The twist will on occasion take a harsh tone, but there is no jarring and no distancing from the aesthetic. The feelings in response – and that response shares the same air as the listening space, there is very little between them – are never alarmed or troubled. In the hands of deft musicians such as these, getting such obvious pleasure from bringing out the best of what each as to offer translates instantly to the listening experience. This is an aesthetic experiment that borders on the philosophical as it draws on its own force and urgency within its slice of time. Your role is to engage here – not be presently surprised. You are to notice what you feel, what you think, and allow those nothings to float over and through you as the music conjures up. That night in London, when they built this together out of nothing, everything happened, and you are invited to the consequences. Grab (with both hands) your copy of Oto here.